This easy No-Bake Pumpkin Lush Dessert is layers of graham cracker crust, pumpkin pudding and whipped topping, all topped with caramel and pecans. 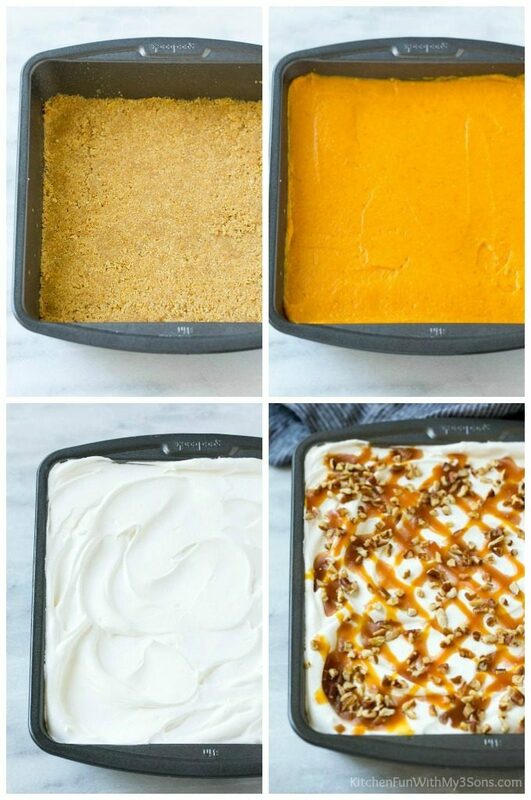 The ultimate fall dessert! There’s just nothing quite like fall – cooler weather, fun holidays and pumpkin treats to be had all around! 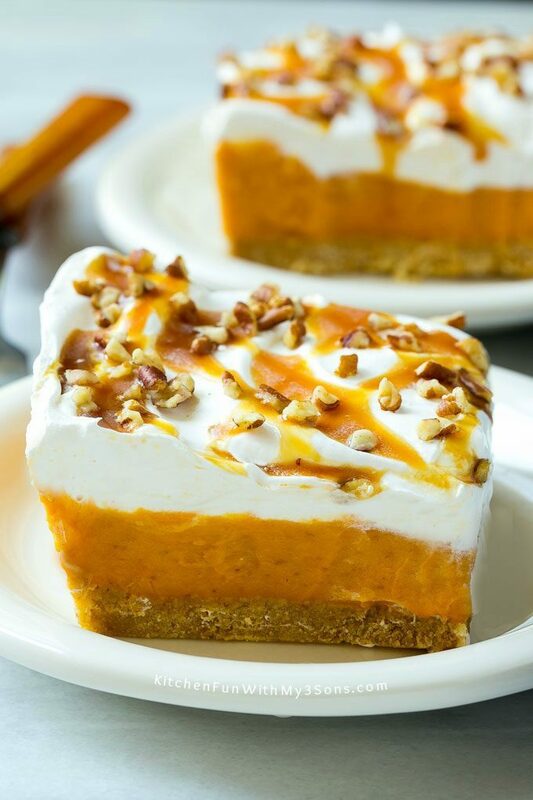 This no-bake pumpkin lush might be my very favorite pumpkin dessert of them all. It’s got layers of creamy goodness and is even easier to make than a pumpkin pie! 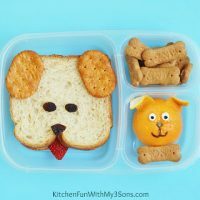 It’s the perfect anytime treat or a welcome addition to your Thanksgiving menu. This recipe starts with a homemade graham cracker crust. While this dessert is incredibly simple to make, it does need time to chill as you assemble it. The graham cracker mixture is pressed into the bottom of the pan, then layered with pumpkin pudding, whipped topping, caramel and pecans. The pumpkin pudding starts with a box of vanilla pudding mix, which is mixed with evaporated (NOT condensed!) milk and flavored with cinnamon and pumpkin. It tastes just like the filling of a pumpkin pie! After the pudding is set, it’s finished off with all the toppings. 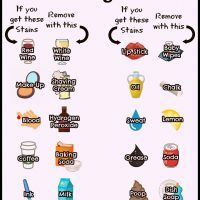 If you prefer, you can use whipped cream instead of whipped topping. While I like to top this pumpkin lush with chopped pecans to add a little crunch, other great toppings would be chopped walnuts, miniature chocolate chips, white chocolate shavings, toffee bits or even fall colored sprinkles! 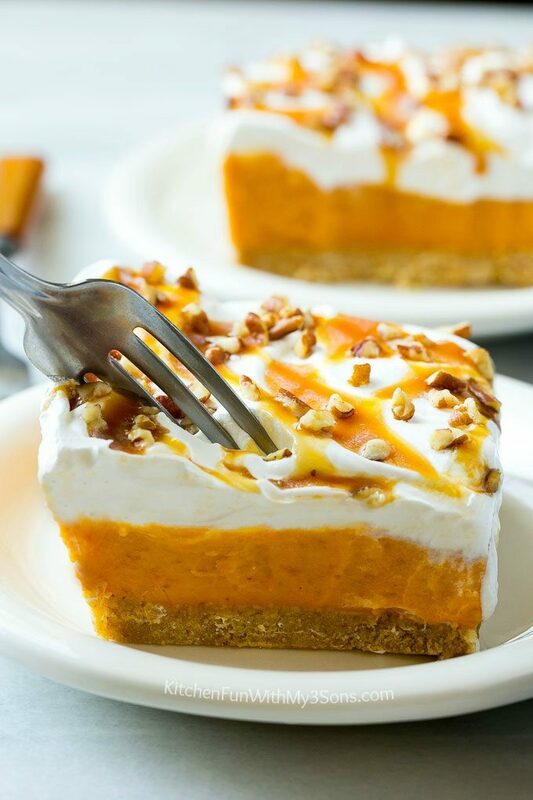 The trickiest part of this pumpkin lush dessert is cutting it into neat slices!! To get nice slices, I use a knife to pre-score slices in the pan, then put the pan into the freezer for about 20-30 minutes. 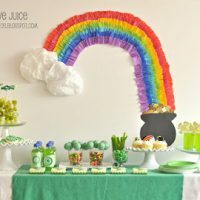 It firms up the dessert enough that it easily comes out of the pan, but it doesn’t actually freeze the lush, although to be honest it would be great frozen too. 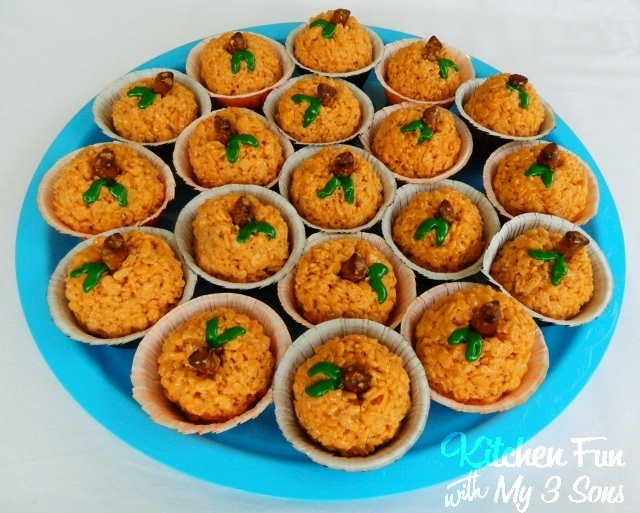 Try this pumpkin lush as an unexpected finish to your meal and watch the rave reviews pour in! 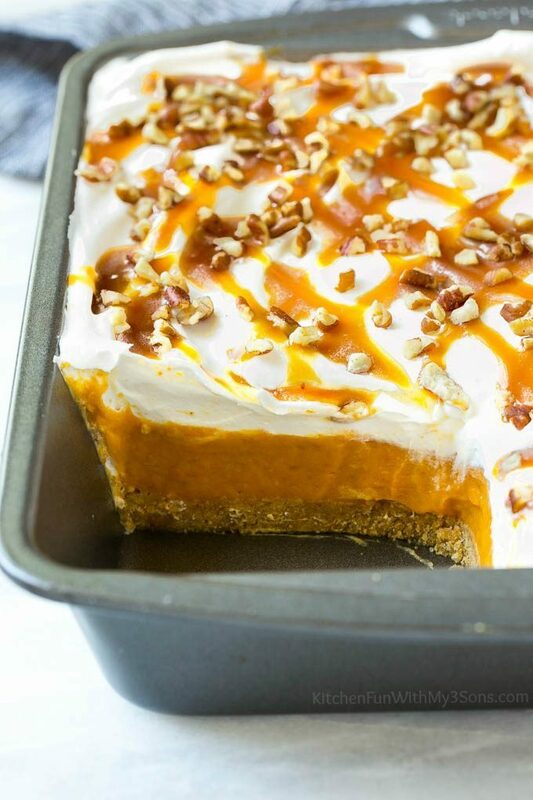 This easy no-bake pumpkin lush is layers of graham cracker crust, pumpkin pudding and whipped topping, all topped with caramel and pecans. 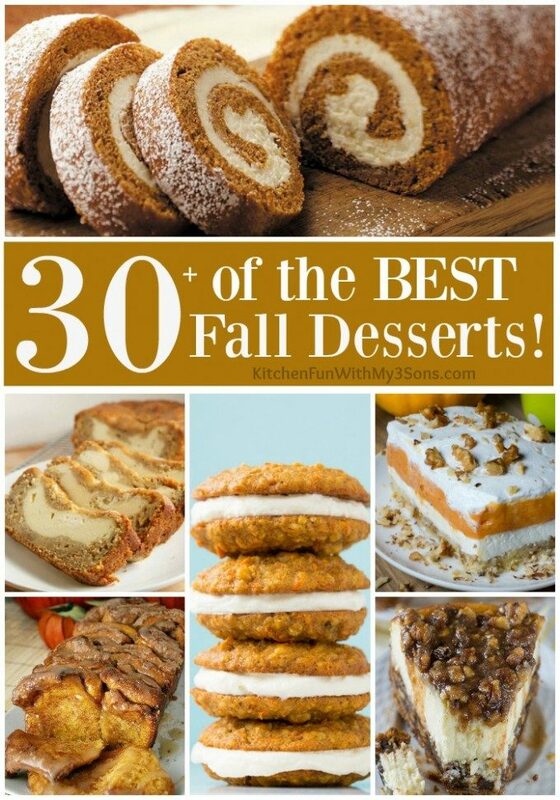 The ultimate fall dessert! Coat a 9"x9" pan with cooking spray. In a medium bowl, mix together the graham cracker crumbs, butter and sugar until thoroughly combined. Firmly press the graham cracker mixture into the bottom of the pan. Chill for 30 minutes. In a medium bowl, whisk together the pudding mix and evaporated milk. Add the pumpkin puree and cinnamon and stir until smooth. Let set for 5 minutes. Pour the pumpkin pudding over the graham cracker crust and spread into an even layer. Spread the whipped topping over the pumpkin pudding layer. Drizzle the caramel sauce over the whipped topping and sprinkle with pecans. Chill for 2 hours or up to 2 days. Prior to serving, use a knife to slice the lush into squares. Freeze for 20-30 minutes, then use a spatula to remove the squares from the pan. This step will help you get neat slices. Serve. 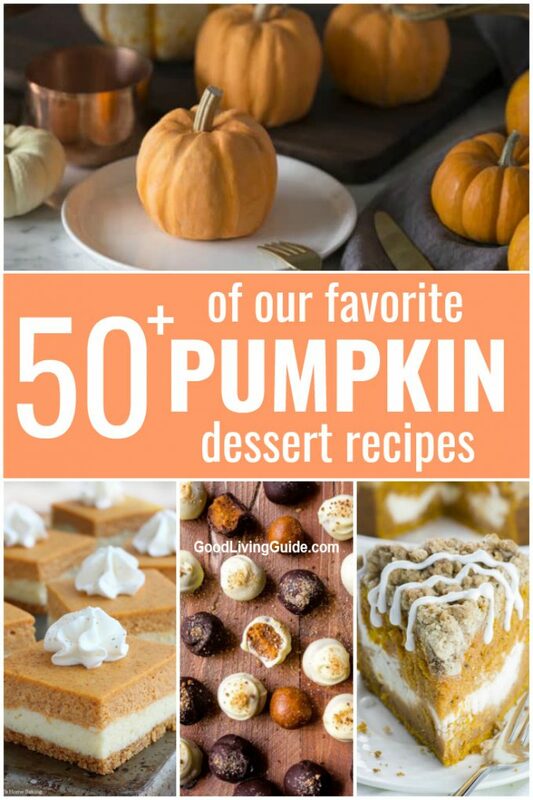 Would love to have these pumpkin recipes please.